Tech Review: Testing out two new backpacks from Solo — the $124.99 stylish Boyd and the $49.99 lightweight Draft. I remember my first laptop bag. It came with the PC and it said “Dell” on the side. It looked like a nerdy briefcase. I’ve been through plenty of laptop bags over the years. Usually I switch between a messenger bag and a backpack. 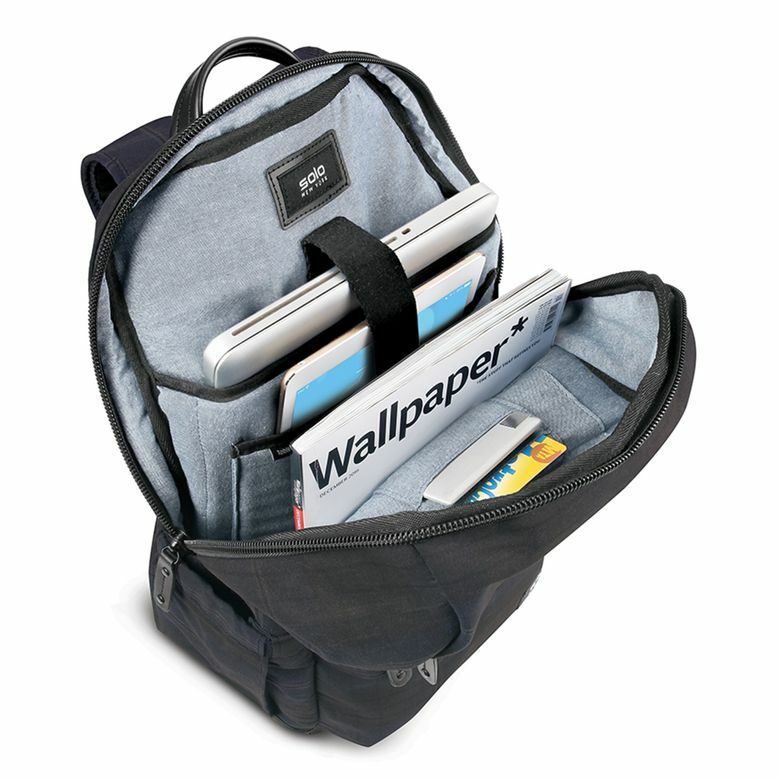 Messenger bags have one long strap, usually worn across the body, and the backpack has one large compartment with a flap covering the whole bag. Backpacks have evolved from the kind we used to carry to school to include more compartments and padded pockets for laptops and tablets. My current backpack is from Wenger, a company better known for making the Swiss Army Knife. I’ve been reviewing two new backpacks from Solo — the Draft and the Boyd. The Boyd is made of waxed canvas and has a dark blue and gray plaid pattern that looks kind of like a flannel shirt. The inside is soft and looks like faded denim. There is a carry handle on top, which I’ve found to be invaluable on any backpack I choose. 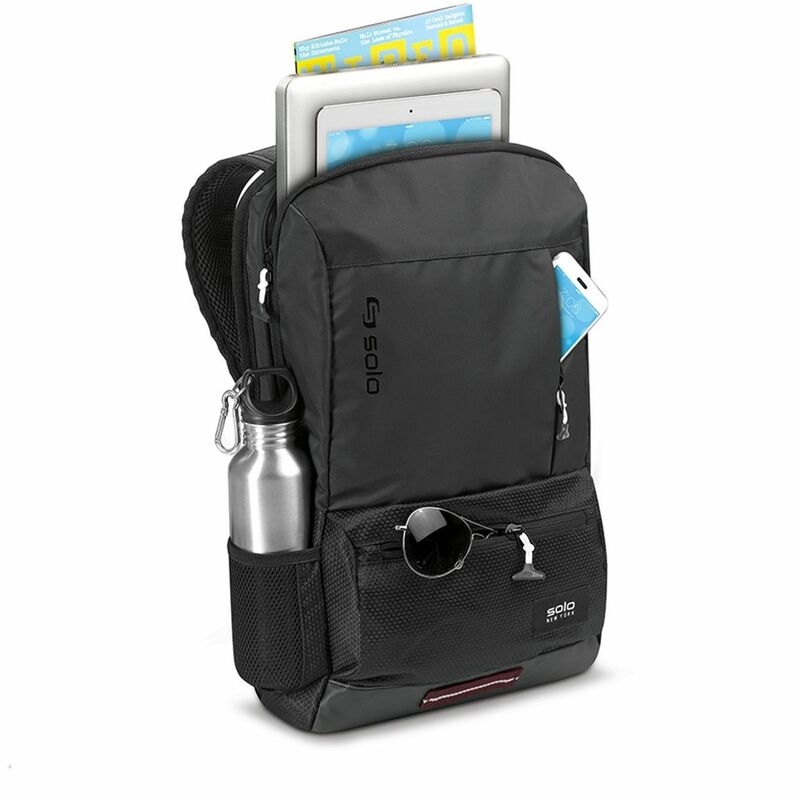 Bottom line: Boyd’s stylish looks and functionality make it a worthy upgrade from your college backpack. 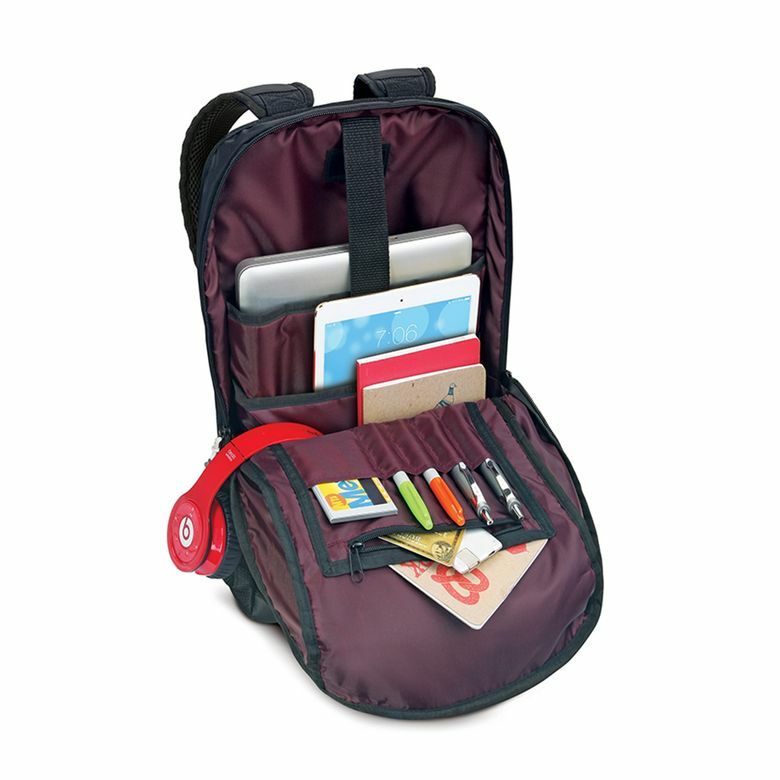 The Draft ($49.99, solo-ny.com) is a backpack more at home in a dorm room, but that’s not a bad thing. It’s made of a smooth black nylon, but also available in burgundy or gray. Around the back are the padded straps and one strap to keep the Draft steady on the handle of a roller bag. On top you’ll find a briefcase handle for easy carrying. The zippers have an interesting T-shaped pull. This ultralightweight design is easy to carry and to put on and take off.